Product prices and availability are accurate as of 2019-04-12 10:07:50 EDT and are subject to change. Any price and availability information displayed on http://www.amazon.co.uk/ at the time of purchase will apply to the purchase of this product. 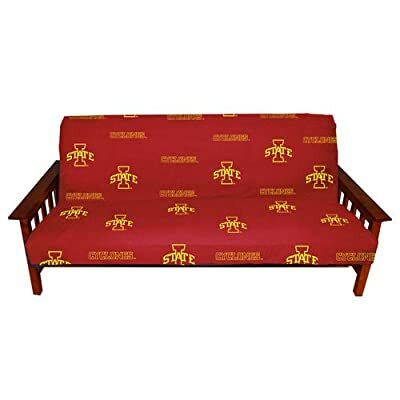 ISUFC NCAA Team: Iowa State Features: -100% cotton Duck.-Futon cover has all over print design for a complete look.-200 thread count fabric gives a sturdy yet soft feel.-It has 3 sided zipper for easy on/off.-Machine washable.-Fits full size futons 6''-10'' thickness.